The American Ornithologists’ Union published the 53rd supplement (PDF) to its North American list last week, making official many long-speculated changes and rejecting others, much to the delight (and occasional consternation) of birders across the land. Here, I present not a full detailing of the supplement’s contents but some highlights and reflections based upon my own interests and peculiarities. I include links to other excellent coverage at the end and also welcome your reactions and questions. Unanimously, the committee voted to remove falcons (Falconiformes) and parrots (Psittaciformes) from their current positions in the list and place them before the songbirds (Passeriformes), more closely to reflect the relationships between these three great orders. I wrote about this last year. South American seriemas also belong with this newly recognized group, as explained in my earlier post. Last fall, a new study strengthened the case for these sweeping changes. In my opinion, it’s hard to point to a more significant shift in our understanding of higher-level systematics in recent years, and to me, this is the most exciting change in the 53rd supplement. But as I and others have said before, it does raise a very practical question about what field guides, which have for the most part been slavishly devoted to taxonomic order, are going to do. On one hand, I think people should learn about bird systematics, but on the other — having arrived in many a wonderful new land filled with completely unfamiliar birds — I certainly appreciate the need to group similar-looking species together to make identification possible, which after all is probably what most people consider to be the primary purpose of a field guide. Xantus’s Murrelet (Synthliboramphus hypoleucus) has been split into California-breeding Scripps’s Murrelet (Synthliboramphus scrippsi) and Baja-breeding Guadalupe Murrelet (Synthliboramphus hypoleucus). The split is based on evidence of very limited gene flow between the populations despite geographic overlap. It’s unclear whether the more southerly Guadalupe Murrelet breeds in the United States; both the AOU proposal and the National Park Service note “unconfirmed accounts” of breeding on California’s Santa Barbara Island but offer no further details. In any case, the species does come north into U.S. waters every year after breeding. Guadalupe Murrelet has more white on its face than Scripps’s Murrelet and is often seen farther from shore. Galapagos Shearwater (Puffinus subalaris) is split from the very widespread Audubon’s Shearwater complex (Puffinus lherminieri), which likely contains other cryptic species. And also, the AOU officially recognized the new species Bryan’s Shearwater (Puffinus bryani), based on a reevaluation of a specimen collected in 1963 in Hawaii. Whether and where Bryan’s Shearwater still survives is unknown. Earlier this year, I highlighted an AOU proposal that Calliope Hummingbird belongs in genus Selasphorus, not the monotypic genus Stellula. The proposal passed, and Calliope Hummingbird’s scientific name is now Selasphorus calliope. 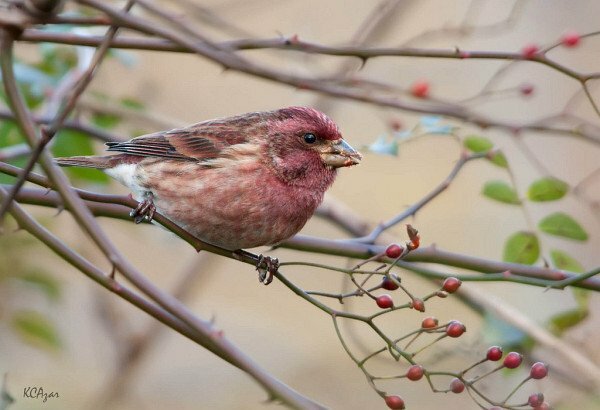 House, Purple, and Cassins’s Finches have been moved from genus Carpodacus to genus Haemorhous because they are not closely related to Old World Carpodacus rosefinches. This is interesting to me because researchers recently determined that the spectacular (and spectacularly demolished) Hawaiian honeycreeper radiation arose from stray Eurasian rosefinches that found their way to the emerging archipelago long ago. The AOU currently puts a hodgepodge of finches (including rosefinches and the New World species now classified in Haemorhous) in subfamily Carduelinae and honeycreepers in Drepanidinae. This needs to change — Carduelinae needs to be split apart; John Boyd shows us how. I’ve seen some speculation on the origin of the genus name Haemorhous. According to the Helm Dictionary of Scientific Bird Names, it is derived from the Greek words haima (blood) and orrhos (rump). Despite an impassioned screed from Van Remsen, the committee opted not to change “Inca Dove” to “Aztec Dove.” But the vote was closer than I expected — 4 for and 5 against with one abstention, and one of the nays noted that he changed his mind from yes to no. So apparently we almost got an Aztec Dove! James Rising put forward (again) a proposal to split the Savannah Sparrow (Passerculus sandvicensis) into up to four species — one widespread species and three (Large-billed, San Benito, and Belding’s) restricted to the Pacific coast of California and Baja. Seven of 10 committee members voted for a split of some sort, but the options were so numerous that no single approach emerged as the path forward, so all populations remain lumped. But it seems as if one or more splits is just a matter of time. On a more serious note, your field guide thought is a good one, and while I have no compelling thoughts I can’t help but wonder how much of our perception is driven by the field guides and not vice-versa. 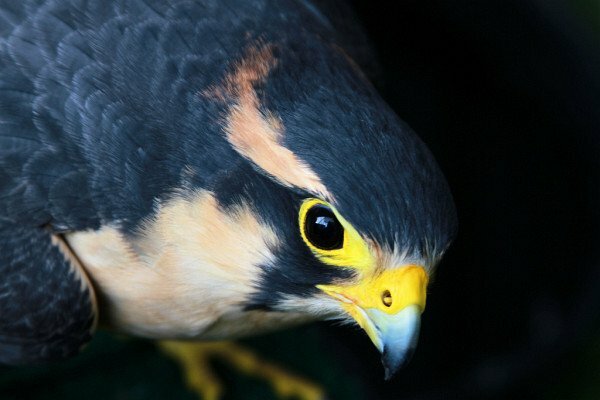 If the pages with the falcons are moved, will people actually start thinking of falcons as in some ways less hawk-like? Or more parrot-like? Steve N. G. Howell et al. published an article in Birding proposing a “field-friendly sequence” (PDF) for field guides, which met with mixed reviews but makes some good points. “Free murrelet” – free to be called Scripps’s ?! That’s not a name, that’s a nightmare. I am surprised about the splitting-off of the North American “purple finches” from the old world genus Carpodacus, and that they aren’t even closely related to each other. Heck, even their songs sound similar. That must be a very wicked case of convergent evolution?